The Backyard development in Mansfield (Photo: © Brian Brown/Beer in Big D). 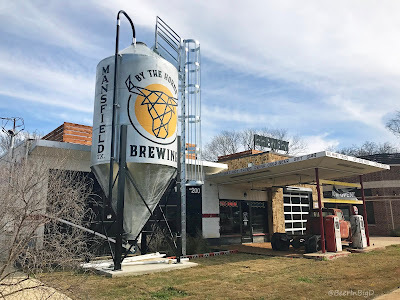 In terms of operations bringing together so-called classic pairings of food and beer, North Texas boasts brewpubs built around pizza and beer, along with others that lean a little more Texan in being a one-stop shop for barbecue and beer. Now, though, area residents can add the combination of tacos and beer to their list of local options, thanks to the arrival of By the Horns Brewing in Mansfield. Brought to you by Brain Storm Shelter, By the Horns opened in late January. In doing so, it joined entities like Twisted Root Burger Co., Tacos & Avocados and Truck Yard on the group's restaurant management roster. And, as it applies to Mansfield, three of those names come together to help form The Backyard, a concept by M.R. Development designed to give visitors the impression of hanging out in an extension of their own backyard. It's an idea to be taken literally, considering By the Horns, Tacos & Avocados and Twisted Root front a development that features a well-appointed, open-air space out back that's both family-friendly and self-contained. 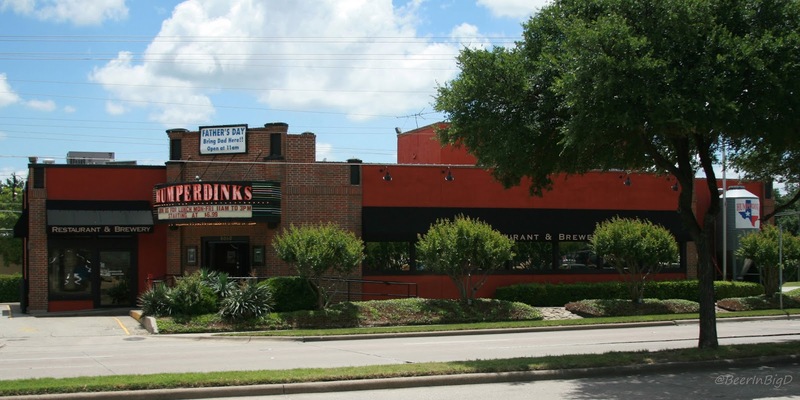 What's more, the setup allows patrons to enjoy beverages throughout the complex, since a single liquor license governs the three commonly-owned restaurants. Within the grounds, By the Horns shares a building with Tacos & Avocados, ergo the tacos and beer part of this whole equation. The food is focused on fresh Tex-Mex, with a By the Horns Beer-Braised Brisket Taco to be had for those looking for a beer-based infusion. And sides? Well, adventurous diners will surely want to get a taste of the Oaxacan Grasshopper Tostada topped with real, dried grasshoppers. from the brewpub comes in 19.2-ounce crowlers (Photos: © Brian Brown/Beer in Big D). On the topic of beverages, while liquor and cocktails are also available, pours of the barley and hop-based variety are the work of head brewer Justin Meyers. His lineup has a tinge of German influence, thanks in part to time spent working with Paulaner, which up until last year had a stateside outpost called Paulaner on Bowery in New York City. Now, it should be noted that the "German influence" aspect of Meyers' approach is just that...influence. German brewing traditions may date back over 400 years, but the Reinheitsgebot (a.k.a. the German Beer Purity Law) will not govern operations at By the Horns. That evidenced, at the very least, by the presence of an Agave IPA on the menu. German standards do appear, however, in the form of a helles and a hefeweizen (both of which are quite popular judging by the amount of orders overheard at the bar). These beers slot in alongside an IPA, a pale and a brown ale on a tapwall expected to contain upwards of nine everyday offerings. Brews currently on tap are virtually spot on to style, which suggests recipes will go mostly by the book at By the Horns. As for accessibility, By the Horns is now open seven days a week, with service starting at 11 a.m. House beers may be enjoyed on-site, or you can grab a few beers by the horns to-go by way of 19.2-ounce crowlers. By the Horns is the first brewing concept to be developed by Brain Storm Shelter. Another, called Beard Science, is set to be part of Truck Yard The Colony, currently under construction in Denton County. 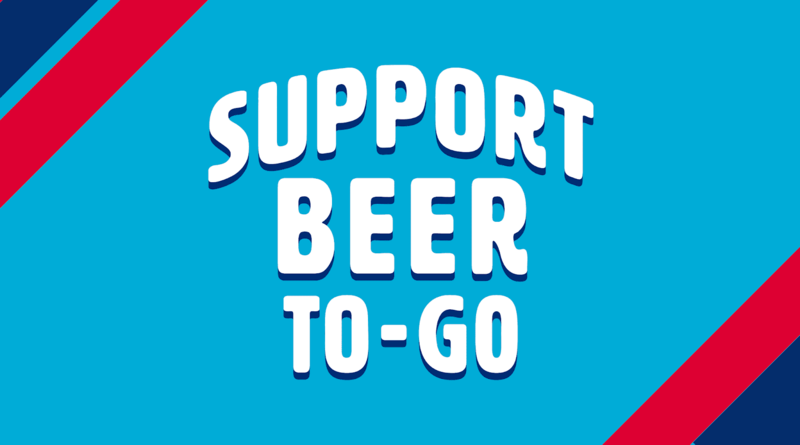 Image credit: Good Neighbor Brews. 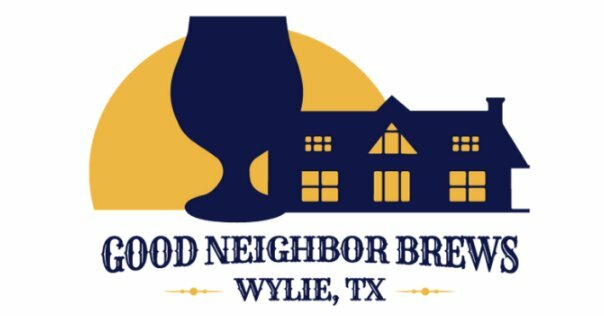 After two years in business, Good Neighbor Brews has announced the closure of its Wylie brewery. Good Neighbor debuted in February 2017, starting out as a draft-only operation before eventually packaging beers like Slim Sweetness Blonde Ale and O'Carroll's Irish Red in cans. The brewery also had a hand in helping Landon Winery of Greenville get its own brewing operation up and running later that summer. According to a Facebook post, those behind the company are embarking on a new restaurant venture in Wylie. Plans for what that entails are still in the works, but those interested can click here to be placed on a mailing list that promises to reveal all details in due time. As for the brewery, it will remain open on weekends through the end of February, with special pricing available for remaining beer on draft and in cans.